What could possibly better than a fun filled fancy dress party full of laughter, bright colors and games? Every little one dreams of having a themed technicolor celebration with their best friends when they turn another year older. You have all of your game shelf staples close at hand, but where do you start when you’re planning the ultimate kids costume party? There are a number of items you need to have in place before the fun can begin, so tick all of these items off your list right now. From invites to innovative themes you are bound to have it all covered if you follow these ideas. Before you can start any party preparations, you need to think of an appropriate theme and figure out your invitations. Whether you choose under the sea spectacular or a spooky and scary scene, pick a theme that fits with your kid’s personality. Then all you need to do is find a good cosplay store online and source an awesome costume. Kit them out with the best threads every, along with all of the appropriate accessories. Include your little one in the process so they feel part of the party planning process too! No costume party is complete without a whole host of super fun games and activities to keep the kids busy. You could set up a cool craft station, hire a DJ or even partake in cupcake decorating. Find an age appropriate activity to suit the kids and tie it in with the overall theme too. Some of the best games to include on the party day are, musical statues, pass the parcel and dancing competitions. Whoever can bust the best moves could win a special prize. When the little monkeys are getting hungry, the best way to keep them quiet is feeding them a tonne of delicious food. Party food doesn’t always need to be standard cheese on sticks and mini sausages though; it is time to get creative in the kitchen. If you were holding a spooky party, then cut up the sandwiches into ghost shapes and serve ‘red blood’ blackcurrant juice drinks. There are so many ways to tie in the theme with the food choices so explore some new ideas and have a trial run first. When the party is over every little munchkin deserves a special party bag to take home with them. Don’t forget to wrap up a piece of birthday cake in a cool themed napkin, include a bottle of water with a personalized name label for those who are super thirsty and a small toy will always go down well with every kid. Your little one deserves to have the biggest and best fancy dress party of all time, so make sure you pull out all the stops to make it happen. 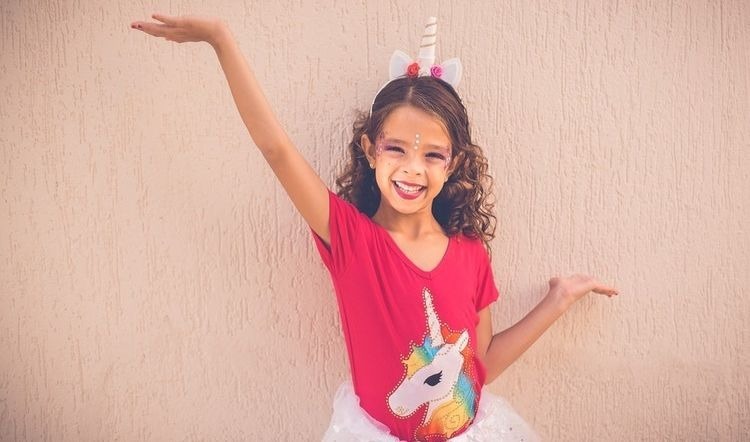 Whether you’re indulging in unicorn and rainbow luxury or love the idea of a superhero celebration, your party is bound to be the biggest hit in town. Planning a costume party should be fun, so take the stresses away and allow yourself plenty of time for organisation. As long as you get everybody involved in the decision making everything should go off without a hitch.